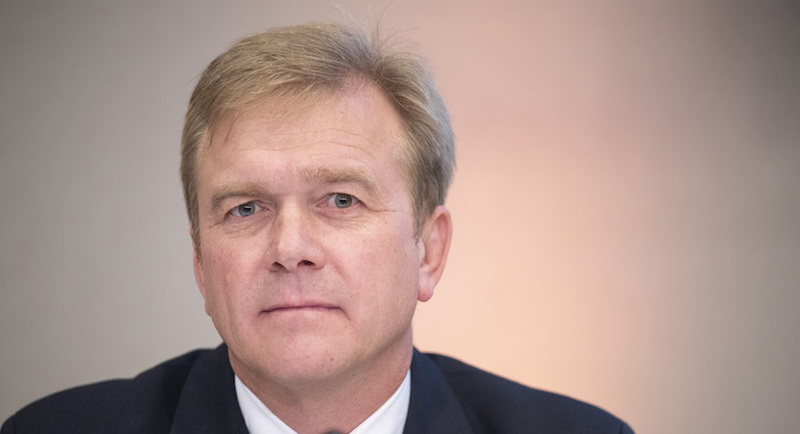 (Bloomberg) – Louis du Preez, the new head of Steinhoff International Holdings NV, may not sound like much of a departure from ex-Chief Executive Officer Markus Jooste. Both are middle-aged men who studied at the University of Stellenbosch, near Cape Town. One’s a lawyer, the other an accountant, and for a few brief months, they even worked at the same South African company: Steinhoff, which almost collapsed late last year amid an accounting scandal. But in his relatively short time at the global retailer, it’s been clear that Du Preez, 49, is intent on saving a business that nearly came to ruin under Jooste, about eight years his senior. Appointed commercial director after the crisis erupted in December, he went on to lead crucial talks with Steinhoff creditors over the restructuring of almost 10 billion euros ($11.4 billion) of debt. Invariably earnest, well dressed and with sandy brown hair, the new CEO came to embody the team that – so far – has staved off corporate disaster. In his two decades as a lawyer, Du Preez specialised in areas including mergers and acquisitions, banking, business rescue and restructuring. One of his most high profile cases involved arguing for lenders to be allowed to deduct loan repayments directly from borrowers’ accounts, a practice that was bankrupting many of the country’s poorest people. Du Preez went on to lose that case in 2015. It was while at Werksmans, one of South Africa’s biggest law firms, that he started working with Steinhoff, joining as general counsel in mid-2017. His timing looked unfortunate when the retailer reported accounting irregularities barely half a year later, but with the company’s reputation in tatters and board members under suspicion, it needed someone who creditors would trust enough not to force bankruptcy. Over those first few fraught months of the crisis, Du Preez emerged as a figure the banks and bondholders would listen to. It’s been a tough year. Steinhoff has had to sell assets, suspend executives, declare its US unit Mattress Firm bankrupt, close stores, negotiate payment delays with bondholders and lenders – and all while under investigation by regulators. Furthermore, lawsuits have piled up across three countries, including a R59 billion claim by former chairman and ex-biggest shareholder, the billionaire Christo Wiese. Du Preez, who is married to a fellow lawyer and has four children, hasn’t kept Steinhoff afloat on his own. Heather Sonn, the chairwoman, has played an integral role and when announcing Du Preez’s promotion she also credited Chief Financial Officer Philip Dieperink with helping to save the company. Danie van de Merwe, who worked closely with Jooste, had been acting CEO since December and will continue in an assistant role for almost 12 months. Steinhoff isn’t out of the woods. The forensic report it commissioned from PwC LLP may be released as soon as this month and the retailer still has to publish its full-year financial statements for 2017. Keeping Mattress Firm from collapsing completely and ensuring creditors continue to prop up Steinhoff will also be part of Du Preez’s job description. What he won’t be able to anticipate is the path taken by regulators across the Netherlands, Germany and South Africa. While Steinhoff has handed the details of certain transactions to the South African police, authorities in the three countries are investigating, and their probes could take years. Du Preez will need all his experience – and plenty of luck.